i have two questions. number one question is whether there is way for casino funds that are still sitting in the pot to be distributed to all 110 chapters. and those casino funds, which are earmarked for chapters, are sitting there because chapters need to meet certain qualifications. and is there a way to allocate unmet needs for Tribal School Clothing budget so our children have leather sports shoes instead of cloth sports shoes. 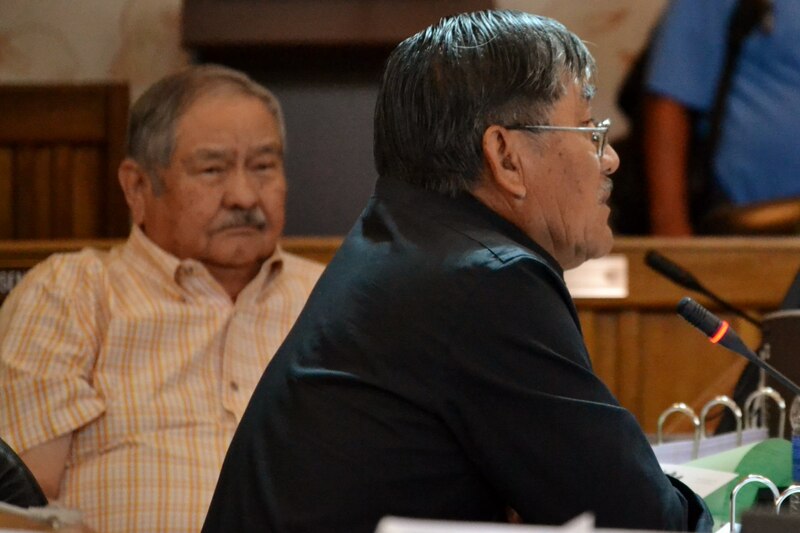 I make amendment to take the salaries of some Navajo Division of Economic Development staff from Chinle Regional Business Development Office and move those funds into Tribal Project Business Development Budget. AMENDMENT – MOVE 460,362 PLUS FRINGE FROM BUDGET UNIT 110004 AND TRANSFER TO BUDGET UNIT 110004 TO CHINLE REGIONAL BUSINESS DEVELOPMENT OFFICE FOR A NEW POSITION, PROJECT MANAGER, PLUS FRINGE. during 2014 fiscal year, there were only five business site leases for entire reservation and DED received about $5 million in 2014. And so that is a waste of the people’s money. i know there were talks about entire Regional Business Development Offices and the office in Eastern produces. The Navajo Division of Economic Development’s Regional Business Development Office did not produce one business for the entire 2014. We have DED that has no idea about business site leases on the Navajo Reservation because DED has no BSL registry and that’s frustrating to our people who tell us that they don’t see any economic development out on the reservation. Can the DED budget be set aside? otherwise we fund $6 million for nothing. We want businesses to open. And with the attack on coal, we need to seriously account for tribal revenues and start by putting all DED budget into Project Management. This entry was posted in Professional Journal and tagged Naabikiyati Committee, Navajo Nation Council by Marley Shebala. Bookmark the permalink.